A document is currently in the making to not only identify but also to address the causes of migration of nurses. 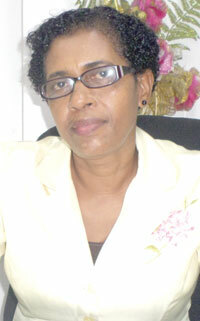 Under the microscope is the nursing situation in Guyana and other Caricom countries. The call for the creation of such a document was made by Senior Minister of Public Health, Ms. Volda Lawrence, when she addressed the Regional Nursing Body forum, which was held at the Caricom Secretariat at Turkeyen. The event, which spanned the period August 7 – 9, saw the attendance of Chief Nursing Officers from across the Caribbean meeting to address the concerns facing nurses. The meeting is one that usually gives attention to the crafting of policies that look at what can be done to upgrade nursing even as the threats to the professions are taken into consideration. High on the agenda for discussion was the issue of migration. Representing Guyana at the forum was Guyana’s CNO, Nurse Linda Johnson, who, during an interview with this publication, shared some of the factors that have been linked to nurses’ migration. “For example, we looked at certain things like staff being overworked; we have this nurse-patient ratio where we have a whole lot of patients to a single nurse. We have nurses not being treated properly in terms of working conditions and other professionals disregarding and disrespecting them and this is all in addition to low salaries,” said Nurse Johnson. According to the local CNO, in recognising the glaring challenge, Minister Lawrence not only asked for a statement on the migration of nurses but advised that the CNOs make deliberate efforts to address the challenge. “We know that it is happening right now and so we began that conversation and we did complete a draft document…but we are still giving input to that document from our separate countries. We are putting our ideas together to bring together a document that the ministers will be apprised of,” said Nurse Johnson. And Nurse Johnson along with Minister Lawrence is certainly working towards putting measures in place to ensure that the migration situation is fully addressed. “Minister did allude to me that we need to talk about that and I said I am very happy about that. I want to see nurses get opportunities to upgrade themselves so that we can have nurses of a high calibre. We need to have nurses who will be in education and the practice arena too…nurses who can do their doctorate and so but we have to have something to hold them and keep them,” asserted Nurse Johnson. Since assuming the position of CNO earlier this year, Nurse Johnson has been reaching out to nurses across the country. “For the nurses I see myself as somebody who is going to represent their cause…whatever are their issues so I have started to go to the regions to actually find out what are their challenges, to know what is affecting them,” said the CNO. As part of the efforts in this regard, Johnson has been meeting regularly with the supervisors of the hospitals in the regions as well as the primary health care supervisors across the country. “We are able to meet and discuss and they give me reports,” said Johnson who, however, noted that her intent is not only to meet the senior nurses but those at the lower level as well. “I feel that they have to be heard too. So I have started visiting…I have visited nurses in Region Six and not just the New Amsterdam Hospital but Port Mourant, Skeldon, Mibicuri and I even went to the national Psychiatric Hospital. “In all of the areas, I ensured that I met with the senior nurses and the lower level nurses also,” Nurse Johnson who has been continuing her quest to reach out to nurses across the country.